Sale Alert! SmartBro 4G Pocket WiFi Now Priced At 888 Pesos Only! Home / accessories / news / smart / Sale Alert! 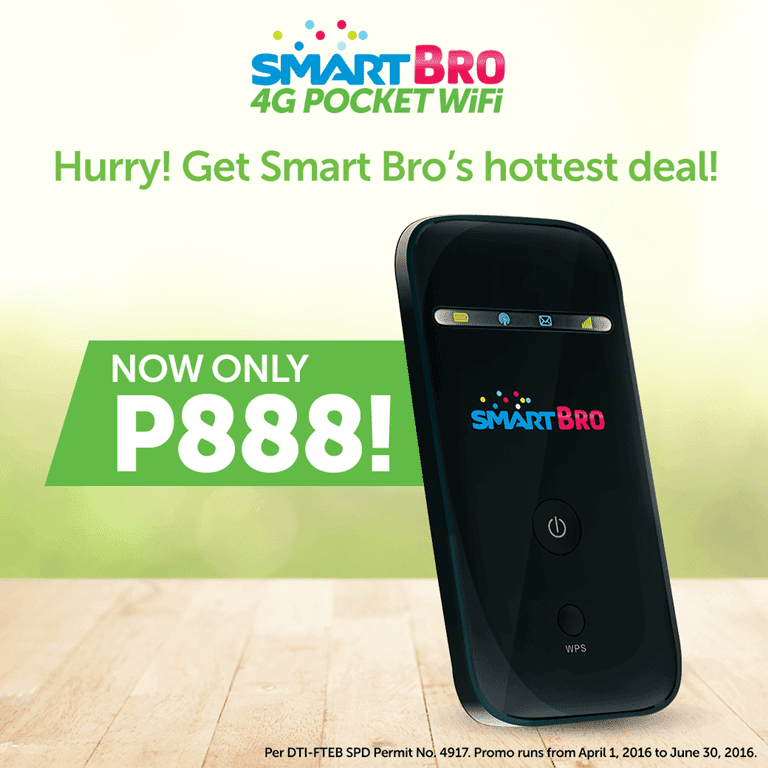 SmartBro 4G Pocket WiFi Now Priced At 888 Pesos Only! MyPhone's My28s is not the only 888 Pesos product now. They just announced on their Facebook account that the SmartBro 4G pocket WiFi is down to just 888 Pesos only making it the most affordable LTE on the go device in the country today. It has a speed of up to 12 Mbps, can connect up to 10 devices and has FREE 150 MB data for 30 days. Previously priced at 1,495 Pesos, this ZTE MF65M SmartBro Pocket WiFi is a great replacement to your ageing unit. The promo is valid until June 30, 2016 only. You may purchase this device at the online store of Smart Communications.